Big discount for those paying full-year subscription in April. 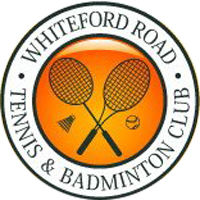 Whiteford Road Tennis and Badminton Club is a small, friendly club located in the Mannamead area of Plymouth. It is the only tennis club in Plymouth owned by its members. Membership is open to anyone irrespective of playing standard. Coaching services are available for both seniors and juniors . The Club originated circa 1910 when two squash courts were constructed. These still form a large part of the clubhouse, although they have since been converted into badminton courts. Tennis has been played at the Club since the 1920s. Over the years, the Club has been prominent in Plymouth tennis. The Club continues to participate in Plymouth and District leagues and championships at senior and junior level. The Club also hosts four local badminton clubs who use the two indoor courts in the evenings. We have introduced badminton-only membership for play during the day.